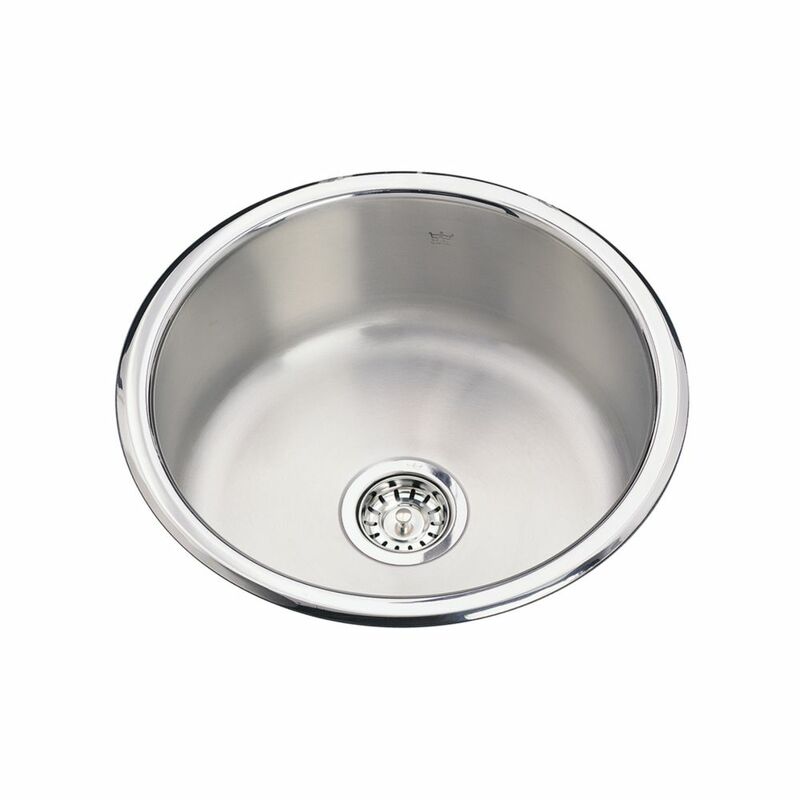 Round, single topmount 20 gauge sink, suitable for island and hospitality areas both. Sink features hard wearing satin finished bowl, sparkling mirror finished rim, a flat bottom to keep stemware upright, and included waste fitting. Quality assured with the standard Kindred Limited Lifetime warranty. Single sink round 20 Ga Round, single topmount 20 gauge sink, suitable for island and hospitality areas both. Sink features hard wearing satin finished bowl, sparkling mirror finished rim, a flat bottom to keep stemware upright, and included waste fitting. Quality assured with the standard Kindred Limited Lifetime warranty.